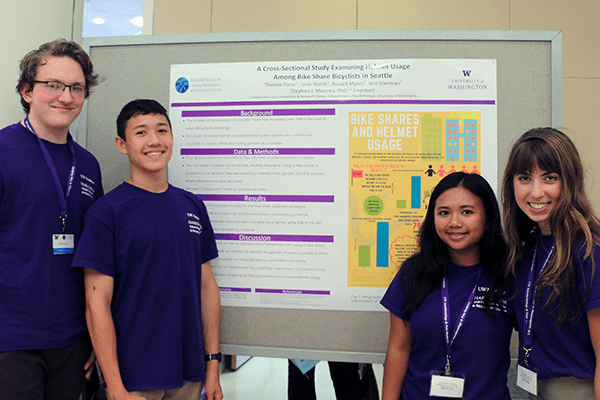 Building from the success of the INSIGHT Research Training Program for college students, in 2016 HIPRC developed a tailored high school summer program ideal for high-achieving students interested in medicine and public health. The INSIGHT High School Program is an intensive, hands-on introduction to medicine and public health research with a focus on health equity. A major focus of the program is to develop skills in research, analysis, critical thinking and communication as well as introduce students to potential career fields that match their interests. Applications open in January each year. Learn more at the INSIGHT High School Program website.